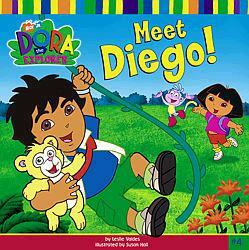 Meet Diego, Dora's cool cousin! Diego can talk to animals, and he rescues them when they're in danger. But when Baby Jaguar cries for help, can Diego get to him before he plunges into the waterfall? Find out in this exciting adventure!